Over a year ago, we wrote about the fabulous indie rock infectinator 'I Am The Lion King' by PAPA, but now they are back with another belter to keep us going until a promised full-length release comes to us early in 2013 (as yet unnamed). If first EP A Good Woman Is Hard To Find is anything to go by, we should be in for a treat. 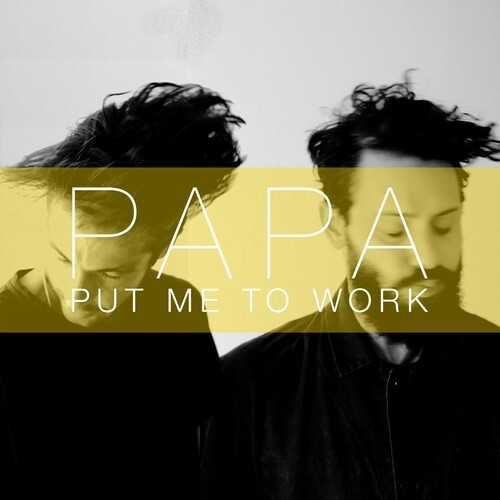 New single 'Put Me To Work' makes the new release seem pretty hopeful as well. Whilst much less focused on a groove than some previous efforts ('I Am The Lion King' being the prime example), 'Put Me To Work' is a rollicking rock number, complete, even, with rock piano - something you don't hear very much of these days. The song itself reminds me of The Killers and even Gaslight Anthem, to an extent, but both of these bands have their own, more-Springsteen-aping sound and, naturally, PAPA have their own sound, too. It's a warmer, heavier, altogether thicker sound, but still a lot more stadium-chasing than I thought it was going to be. The haphazard style of guitar is something I can really get on board with, as is the relentless breakdown towards the end of the song. It's a night-time drive kind of atmosphere, however, as opposed to the relatively sunny delight of their first EP, but still I get the feeling that 'going Springsteen' is neither PAPA's goal nor their intention: just another dimension to add to their already quite varied sound. I am looking forward to hearing how the rest of this next album's songs are going to sound compared to this.